Eve is also an essayist and poet. Her first collection of poetry, essays, and visual art, Electric Arches, is forthcoming from Haymarket Books in fall 2017. Her work has been published in many venues, including Poetry Magazine, The New Yorker, The Atlantic, The Nation, The New Republic, Union Station, and the anthology The Breakbeat Poets: New American Poetry in the Age of Hip-Hop. She has been a Pushcart Prize nominee, a finalist for the Pamet River Prize, and a scholarship recipient for the New Harmony Writers Workshop. She currently an editor and staff writer for the website Seven Scribes. She also co-directs Crescendo Literary, a partnership that develops community-engaged arts events and educational resources. 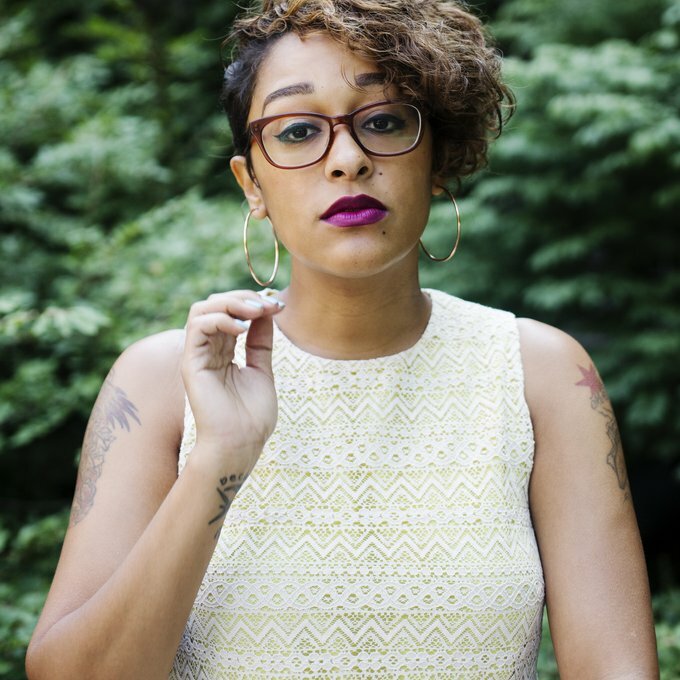 Eve is one-half of the writing collective Echo Hotel, alongside Hanif Willis-Abdurraqib. Eve was born and raised in the Logan Square community of Chicago and is a proud alumna of Chicago Public Schools. She completed her doctorate at the Harvard Graduate School of Education. Prior to that, she received an undergraduate degree with honors in English Language & Literature from the University of Chicago, with a focus on African-American literature of the twentieth century. She also holds an MAT in Elementary Education from Dominican University and an M.Ed in Education Policy and Management from Harvard. She loves her family and friends, music, art, cartoons, traveling, reading, and food (especially fried chicken and carne asada tacos).